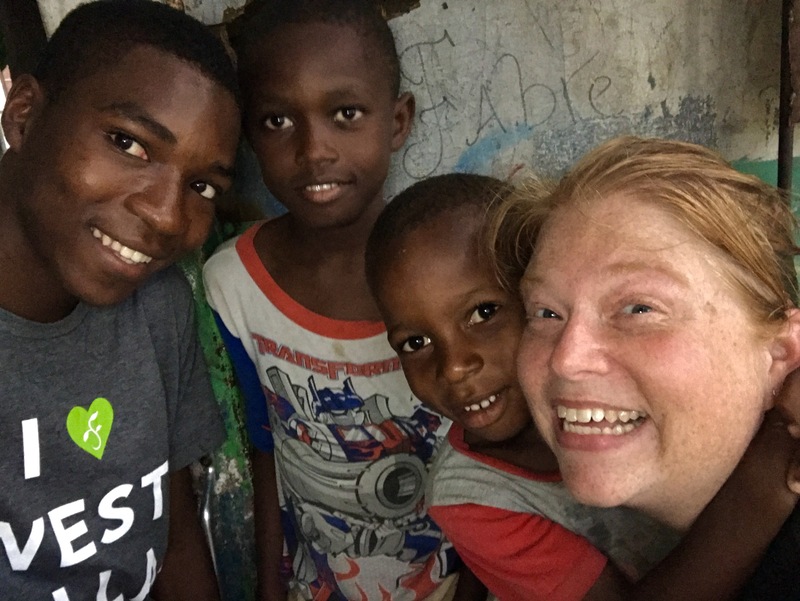 As if the plane landing in Haiti hadn’t already given me overwhelming realizations that I was home, just a few hours later, I was instantly at home in every aspect of the word. Oh, my heart, that is so fragile with this small one that holds every corner. I would never be able to put into words how much I miss him. There are not enough variations of “I miss you, too” in Creole to adequately convey them all. I put up a strong front, but when it comes to my buddy…I’m a puddle. I would do anything for him, and it’s reciprocal as evidenced by his blatant defense of my honor in any given situation or misused word sent in my direction. “No!” while I completely lost it laughing. This was quickly followed by confused looks wondering what the hell I’ve been doing in the States if not remedying that particular situation my Haitian friends have a definite opinion about. Apparently, my friends all thought I was going to the States to gain a significant other, then come back. They will suffer a long wait. It’s been almost a year since I left Haiti, and it shows in my restlessness Stateside and the insane welcome my friends have given me over my visit in Haiti. It was an absolute honor to accompany some friends, who have become extended family over the last three years, from South Carolina to the northern villages partnered with Global Orphan Project in Haiti. While I was back in March, I didn’t have an opportunity to go north, which meant I hadn’t seen my friends up there for an entire year. We spent a couple days at one of my favorite places in all of Haiti up in the northern mountains. As we prepared to leave, I had sent our visiting friends on to the bus when a hand caught mine and held me back under the shade of the school porch. The normally stoic, serious, quiet eldest sibling who is constantly taking care of others, ducked his head while allowing the corner of his mouth quirk upwards into a half smile. Which then led to a mass photo of all who had heard my answer and wanted one ‘last’ photo before I left. “Okay, we can walk slower. They can wait for us,” I replied, grateful the mirrored aviators were firmly in place as my eyes were tempted to leak. I walked incredibly slow, savoring and implanting every step in my memory. Even as I think about it right now, I am right back there with my friends. Lovely on my left and Ronelson on my right as the rest of the kids trailed behind us to the bus. The incessant desire to not be forgotten is constant in most of the kids the world calls orphans. 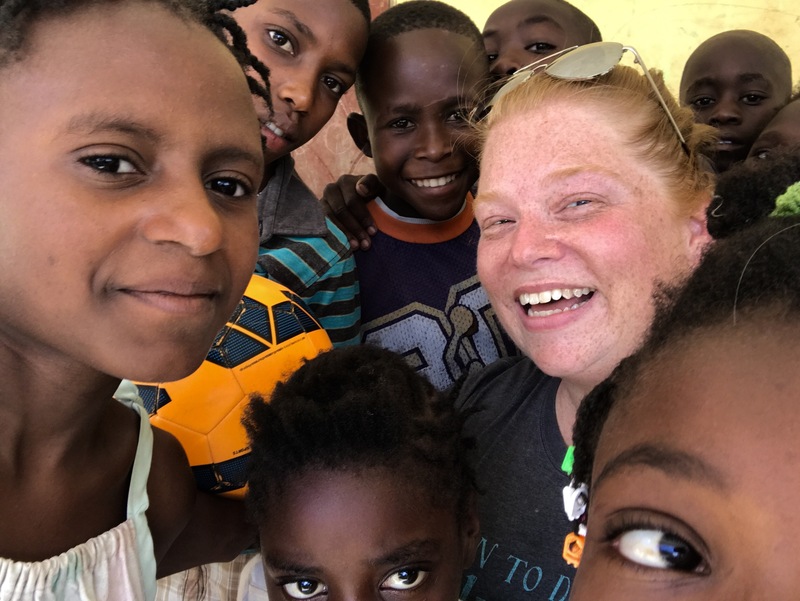 Desperately wanting to be known, is a common characteristic that I always tell those partnering and engaging in the orphan window to make a point to speak into each of the kids. Remembering names. Remembering faces. Telling stories of the past visits. Joking about things that were inside jokes from previous years. Remarking on how they look healthy or taller or more beautiful than past visits. Comparing how much they have grown in old photos. Showing the kids you kept something they drew or wrote to you. Maintaining whatever contact you can when you cannot be physically present. It is imperative to speak worth and love while reinforcing memories of time spent together, because there are not a lot of people in their lives that can point that out. Which also speaks into consistency regarding those God has called you to love. It’s not about hopping around to different places, and taking the photos to show everyone you were outside the States and with orphans. It is about intentionality. It is about sacrifice. It is about consistently being present. It is about building God’s Kingdom through fighting with those the world casts aside. The default of the kids to assume we always forget about them stems from the abandonment and neglect. Yet, at the end of my week, remembering became more than just about my little friends and also about the team I worked with for two and a half years. Rewarded with his megawatt smile, I was left to ponder why everyone thought I would forget while I am away. It continued the morning I left as we journeyed through traffic to the airport, a tap tap, the public transportation, pulled weirdly in front of us on the wrong side of the road. My friend who was driving said nothing. I’ve been trying to reconcile why one of the themes of this Haiti visit was remembering and missing each other, and not forgetting. The reality is, I’ve come across it every year in Russia, and have worked years to reassure the kids they are not the only ones that remember. The kids are always surprised when I remember not only things from the year before, but many years past. It is all of the things I listed above that have worked against their human reaction of being forgotten. While that explains my little friends, it doesn’t explain the overall responses I was getting. What is it about our humanness that our default belief is that people will forget us and could never miss us as much as we miss them? And where do we step into that tension to create assurances of the opposite? Yet our God also says he knows every hair on our head. Our hearts crave to be known. We crave to know we have worth in this world. We can’t stop wanting to hear that from others as we have it consistently from the One who created us. It truly is in our humanness that we fool ourselves into thinking no one cares, people forget and our value is minuscule. None of those thoughts are from God. God loves unconditionally. God loves consistently. His love for us could NEVER run out, and he has created his people to be an extension of his love. That is the opportunity we’ve been given to step into the life of another beautifully imagined son or daughter of the Creator. The real question is more about what is holding us back from loving with the radical, unconditional love we’ve been given freely? That we didn’t even ask for. What are we so afraid of? What is stopping so many from pouring into lives of others? Choosing to step in is hard…and painful…and heart wrenching. Especially when the physical distance is massive or circumstances pack a painful punch. Yet…I wouldn’t trade it for the world when it comes to seeing a friend smile, be encouraged and know that they have incredible value and worth. Speak love. Speak worth. Never forget. And God’s glory will burst out like the sun rays escaping from a ceiling of darkened clouds.